The coed missing from Tisquanto State is the daughter of Governor Sam Holland's rival for reelection - and best friend. But she is more than that. She is Laura Thornton, a human being - somehow the pawn and victim of angry student upheavals not even the governor understands. Who is behind Laura's disappearance? Who is inciting Tisquanto's protests and riots - a madcap prankster, an earnest reformer - or a conspiracy sworn to the college's destruction? It is a case for Mike McCall, the governor's special assistant, a two-fisted troubleshooter who finds his crimes in the crises of modern America. Mike McCall, who finds on Tisquanto's campus not only the raging hatreds of rebelling youth - but murder! 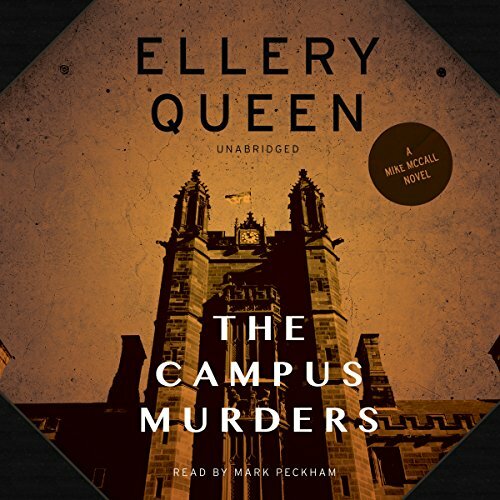 ©1969, 2014 Ellery Queen (P)2014 Blackstone Audio, Inc.